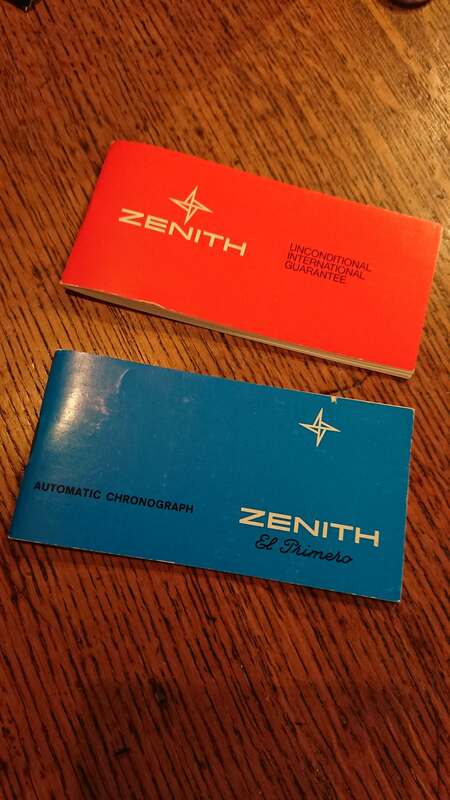 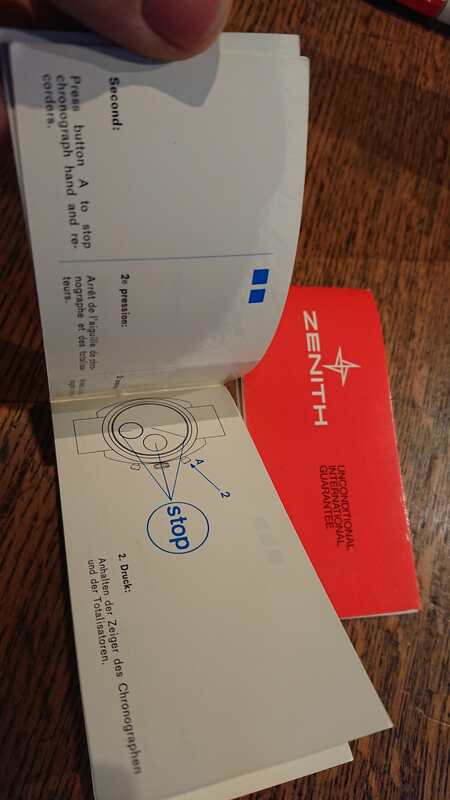 Zenith El Primero Blue Instruction booklet (10pgs) and Red International Guarantee Booklet (14pgs). 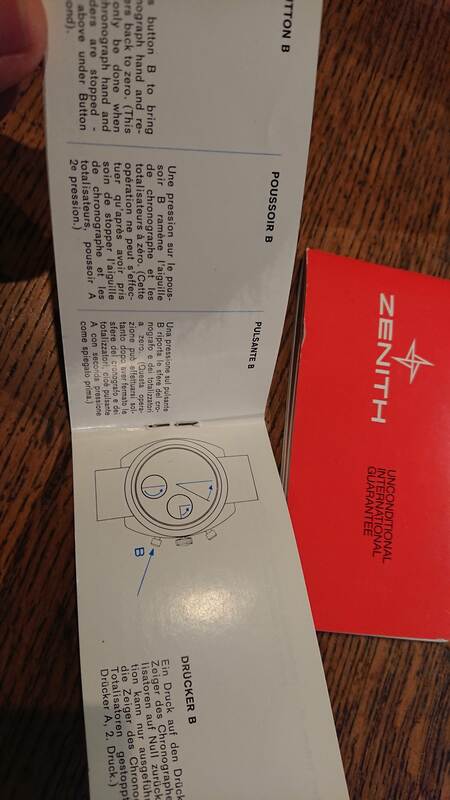 Hardly ever seen in a pair. 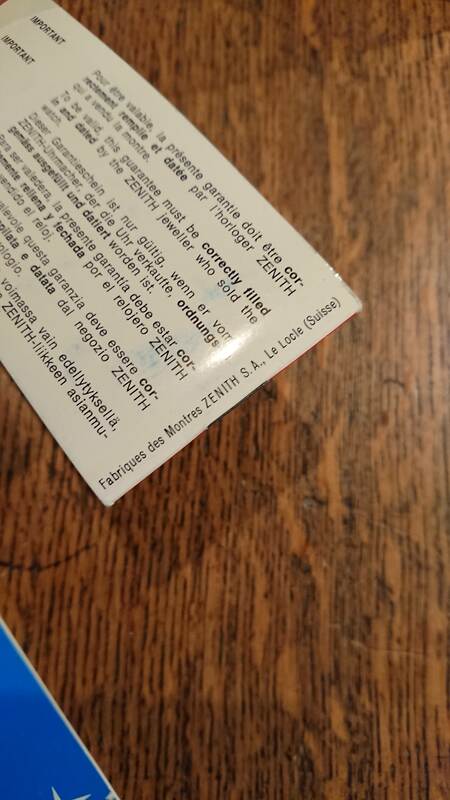 Both in excellent minty condition, printed in Switzerland - multiple languages. 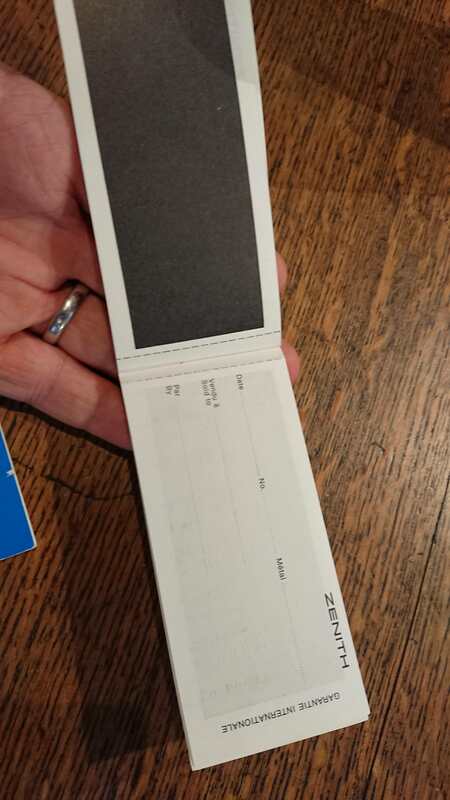 Two unprinted carbon pages. 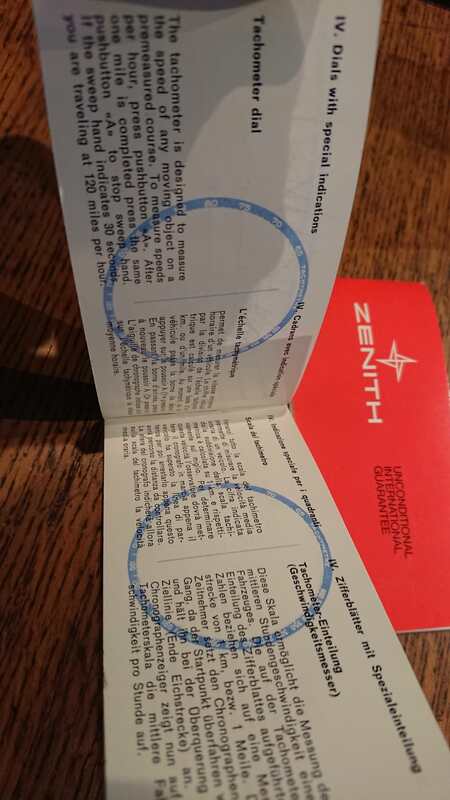 Great little piece of history for your Zenith. 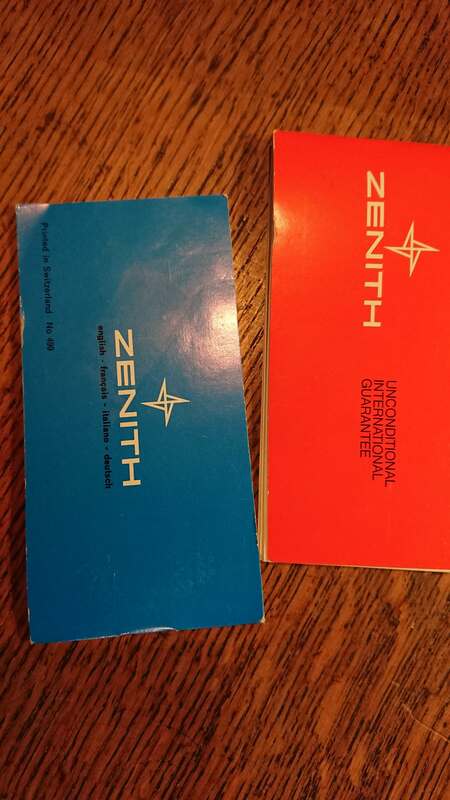 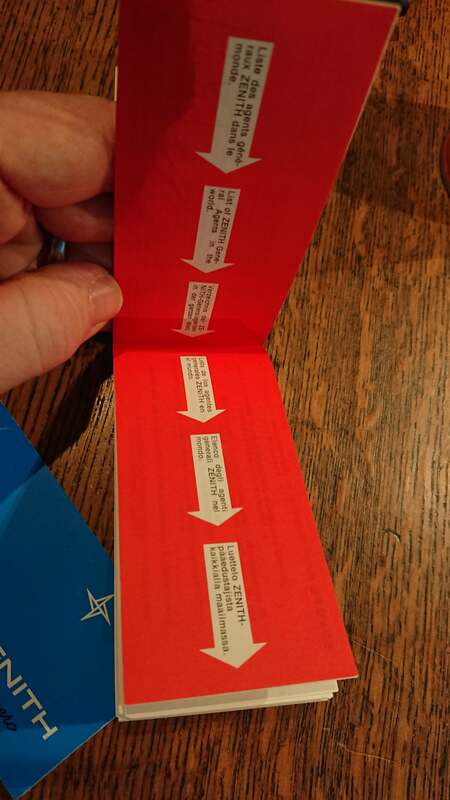 These booklets came with the 3019phc a3817, a3818 and a386. 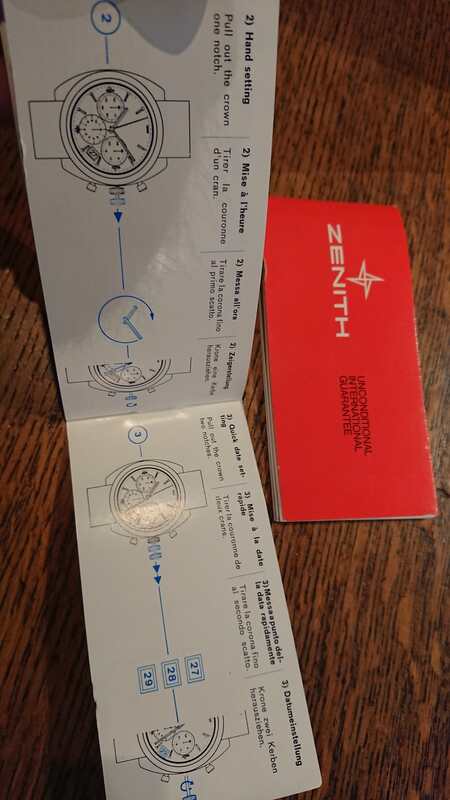 $750 USD or best offer. 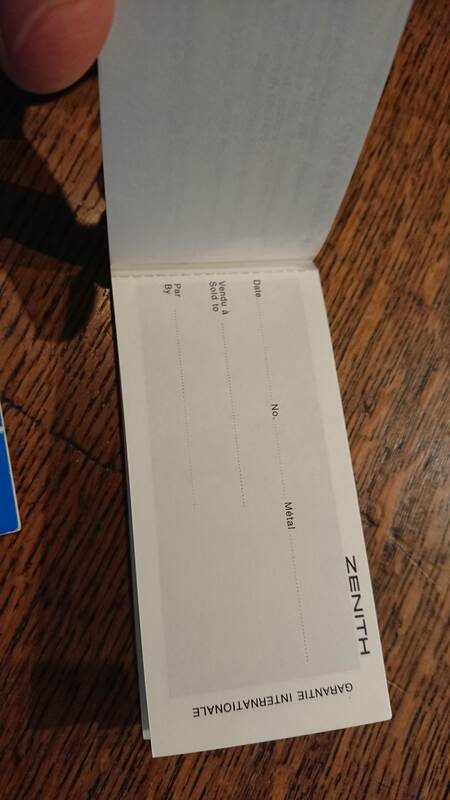 Paypal F/F - FedEx worldwide shipping included.